F2 Tech Notes | Technology. Compliance. News. Some pretty drastic changes to the Machinery Directive 2006/42/EC were published on the European Commission’s Machinery Directive page on March 18, 2019. 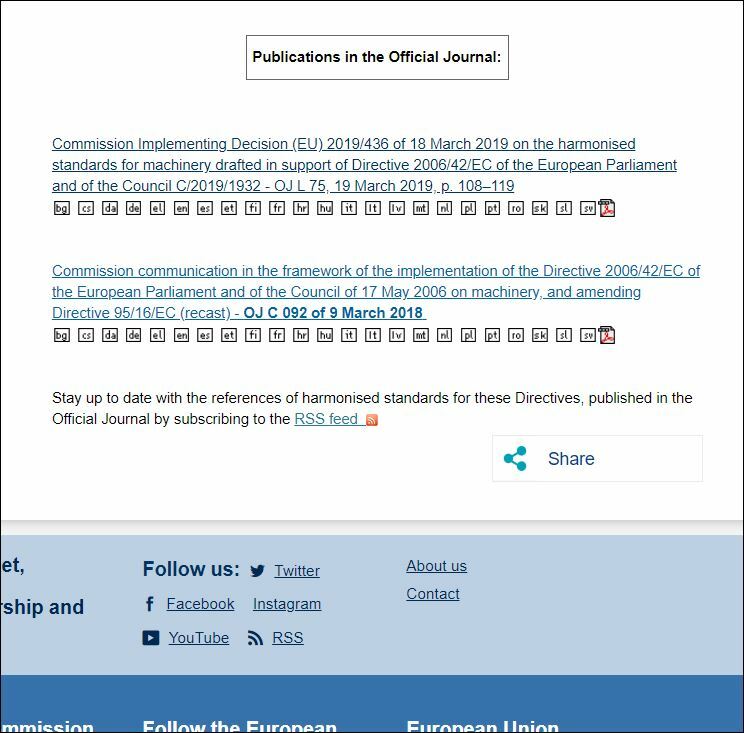 Most noticeably, prior to March 18, all of the harmonized standards attached to the Machinery Directive and published in the Official Journal of the EU were displayed in order (A-type, then B-type, then C-type) running down the page. The two links are important and the purpose of this article. The first link refers to Commission Implementing Decision (EU) 2019/436. I will refer to it as 2019/436 in this article. 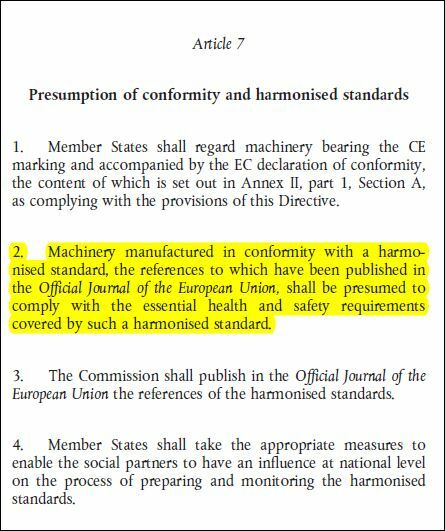 The second link refers to the currently accepted harmonized EN standards available to prove compliance to the Machinery Directive. 2019/436 does a few things that are most notable and we want to spread that information to our customers and interested parties as soon as possible. See below. 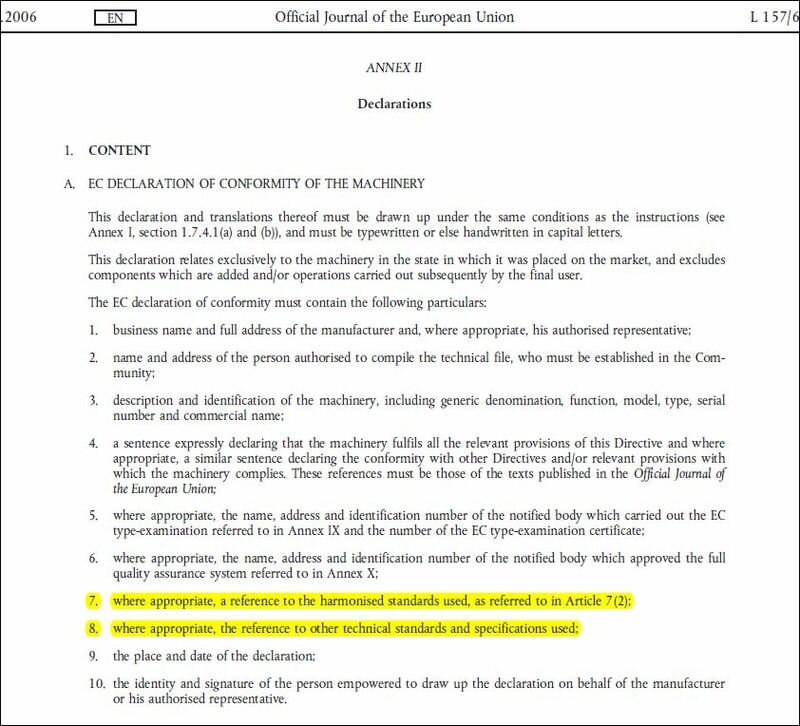 Annex I – harmonized EN standards added to the list of Machinery Directive standards. 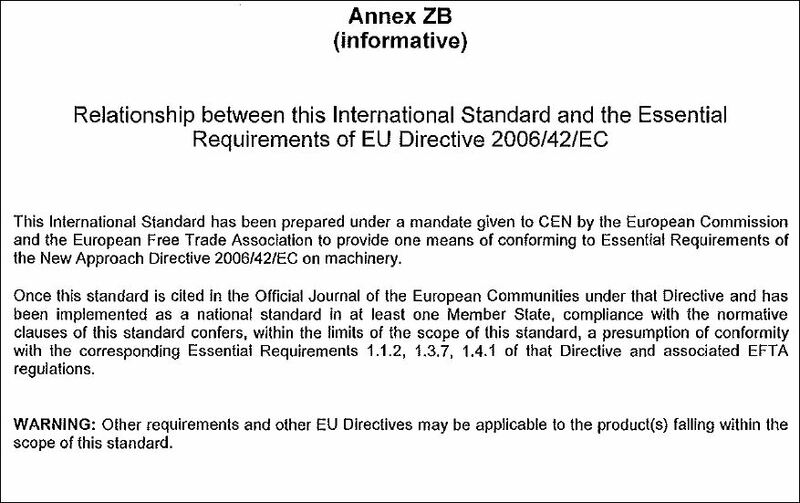 Annex II – harmonized EN standards added to the list of Machinery Directive standards, but with a restriction. 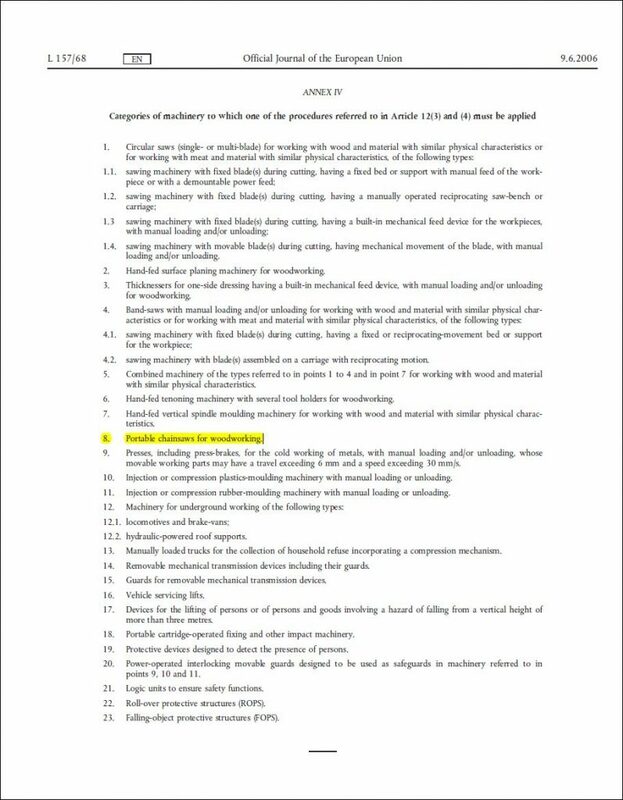 Annex III – harmonized standards withdrawn from the Machinery Directive standards list. Note that this is not immediate. The dates for each standard’s removal is published next to the standard. 3. EN ISO 12100:2010 is not listed in any of the above three Annexes so while we expect it to be removed or replaced, that is not decided or scheduled yet. 4. 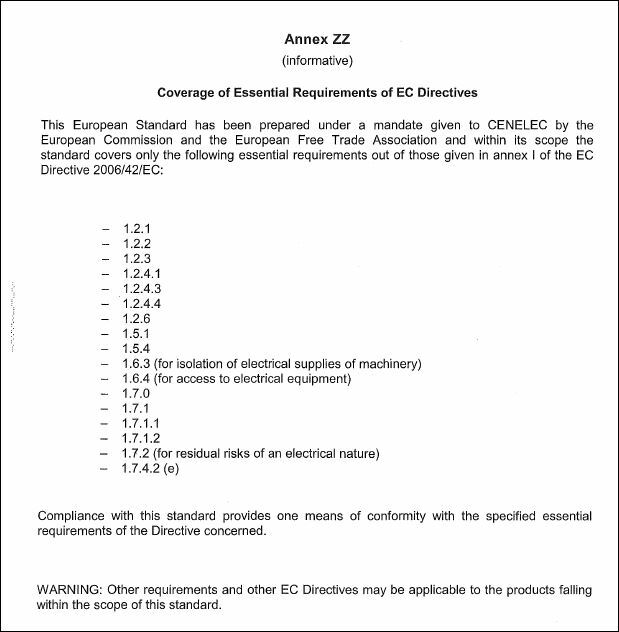 EN 60335-1:2012+A11:2014+A13:2017 is published to the Machinery Directive list in Annex I (really, this just adds the A13 amendment) and will be required as of May 3, 2020. 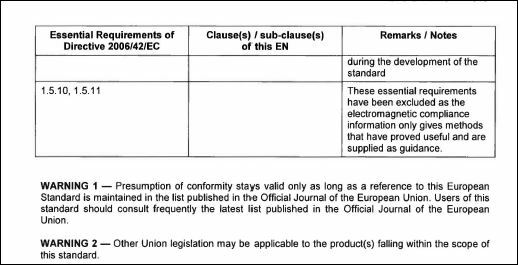 Interestingly, the A13 amendment is not yet published to the Low Voltage Directive 2014/35/EU list of standards. This means that if your product complies with EN 60335-1 and is in the scope of the Machinery Directive 2006/42/EC then you must consider the A13 amendment prior to May 3, 2020. Any products sent to the EU with a declaration of conformity indicating compliance to the Machinery Directive and En 60335-1 must, by May 3, 2020, indicate EN 60335-1:2012+A11:2014+A13:2017. We will perform an intensive review of 2019/436 and will publish more information regarding these important changes. CENELEC has published a new RoHS standard, announcing it, here. The new standard is EN ISO 63000:2018 Technical Documentation for the assessment of electrical and electronic products with respect to the restriction of hazardous substances. The referenced CENELEC article indicates that there is a five-year transition period where both standards will be accepted for compliance to the RoHS Directive 2011/65/EU. EN 50581:2012 will then be withdrawn at the end of the five years. From the above it appears that the standard was available starting on December 7, 2018, formally announced on March 7, 2019, and will be published in the Official Journal of The EU on June 7, 2019. 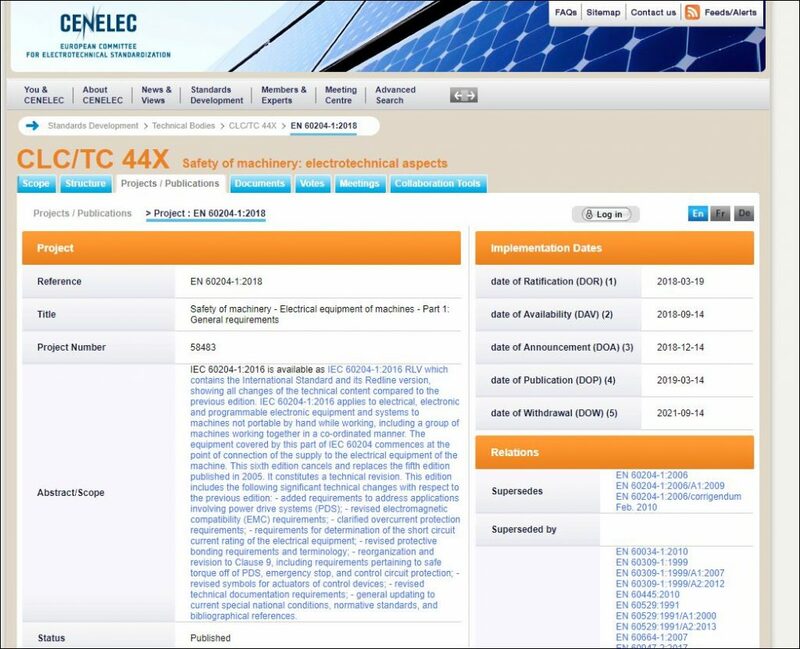 Lining up the June 7, 2019 date with the CENELEC article, it seems that EN 50581:2012 will be acceptable until June 7, 2024. 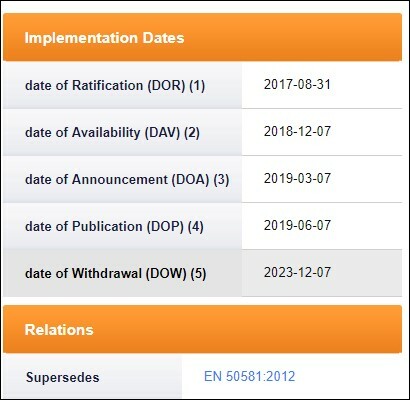 What this means to a manufacturer with a product in the scope of RoHS 2011/65/EU is that between June 7, 2019 and June 7, 2024 either standard can be used to prove RoHS compliance. As of June 7, 2024 only EN 63000:2018 will be acceptable. F2 Labs performs safety evaluations & testing, EMC testing, and consulting for various compliance related issues faced by our customers. The Constructional Review will be dictated by the safety standard or standards used to evaluate your equipment. Typically this means that your equipment must be assembled with components that are both suitably approved and rated to work with each other. We will need a list of what are considered critical components to do this. The assigned engineer then researches each part by model number to ensure it is safe to use in your product, as indicated in the applicable standard(s). Engineering stresses this point though: give us a list of what you think should be on the critical component list. This list is meant to start the conversation with our engineers. We will ask for information on other components if we need it. 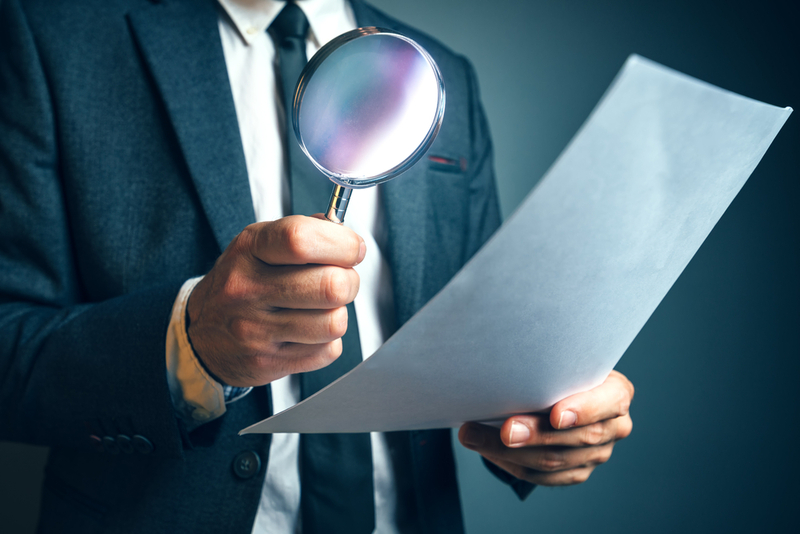 So, in other words, it does not have to be notarized and completely accurate – it is meant to be a starting point for for our evaluation. The world has many good guitar manufacturers but it is commonly accepted that the very best guitars are made in the United States. Few guitar players will dispute that. In the world of acoustic guitars there are three ‘big’ manufacturers that offer USA made acoustic guitars. Since they are universally known to be of very high quality they are frequently exported to the EU. Acoustic guitars are made from the combinations of mahogany, rosewood, spruce, & ebony in more than 90% of the builds seen for sale. Electric guitars are usually made from mahogany and rosewood. Maybe maple also. I am not 100% sure because I do not play electric guitar, there could be other woods used. Electric guitars have something else also: electric function. Electric guitars have magnetic devices in the middle (bridge pick up) and where the neck meets the body of the guitar (neck pick up). These pick ups transmit the sound from the steel strings to an amplifier by electric signal typically through a cable. The RoHS Directive 2011/65/EU is a CE marking Directive and requires reference on the declaration of conformity. It shares many similarities with another Directive: the Waste Electrical and Electronic Equipment (WEEE) Directive 2012/19/EU. WEEE is not a CE marking Directive but has its own mark and requirements which will not be discussed in this article. The RoHS Directive refers to the WEEE Directive, and in particular, the scope of applicability is linked as is the definition of the types of equipment indicated in Annex I of 2011/65/EU. 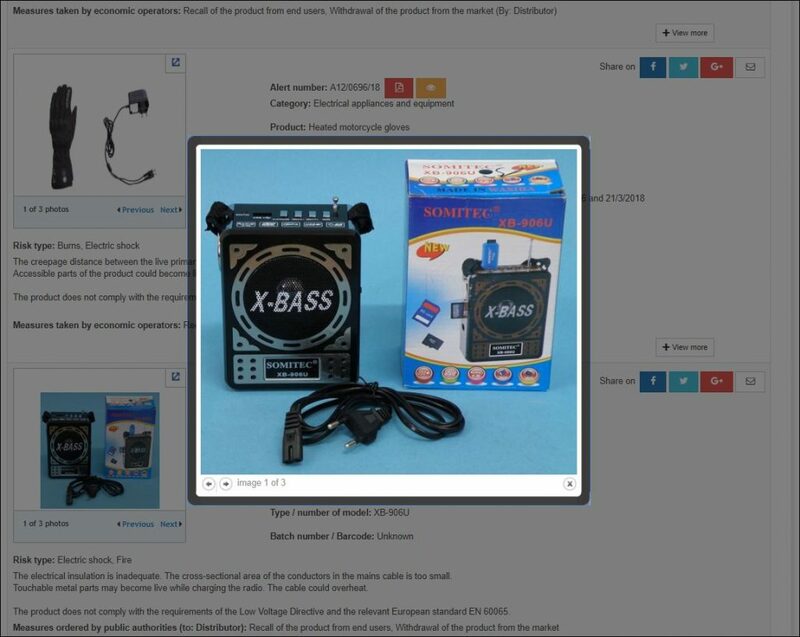 This means that musical instruments with electric function are considered consumer equipment, and electrical and electronic equipment, and in the scope of the RoHS Directive 2011/65/EU. Therefore, they are required to comply and carry a CE marking. 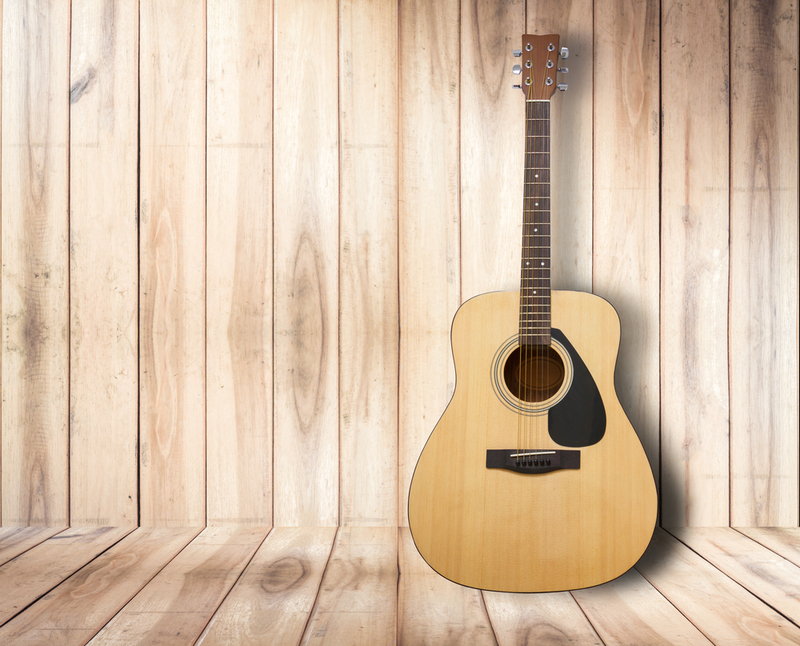 Acoustic guitars with a pick up and electric function. 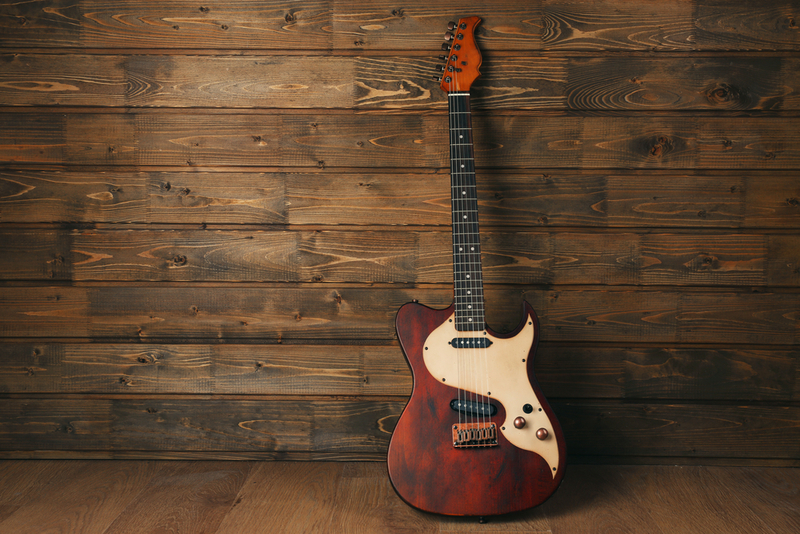 Since RoHS applies to electrical and electronic equipment that means that electric guitars and acoustic guitars with a pick up must comply with RoHS but strictly acoustic guitars should not comply with RoHS – and therefore no CE marking. I frequently look at guitars in different retailers and have noticed that one of the three US manufacturers of guitars has placed a CE marking on the labels inside of their strictly acoustic guitars. I do not know why the CE marking is on the labels but I speculate that either they do not know and print it on all of the labels. Or they do know and chose to ignore it because of the associated cost of having different labels and tracking the labels. It can be very challenging for a company to determine what is applicable, what markings must be applied, and which must be omitted. We work on this every day, all day. 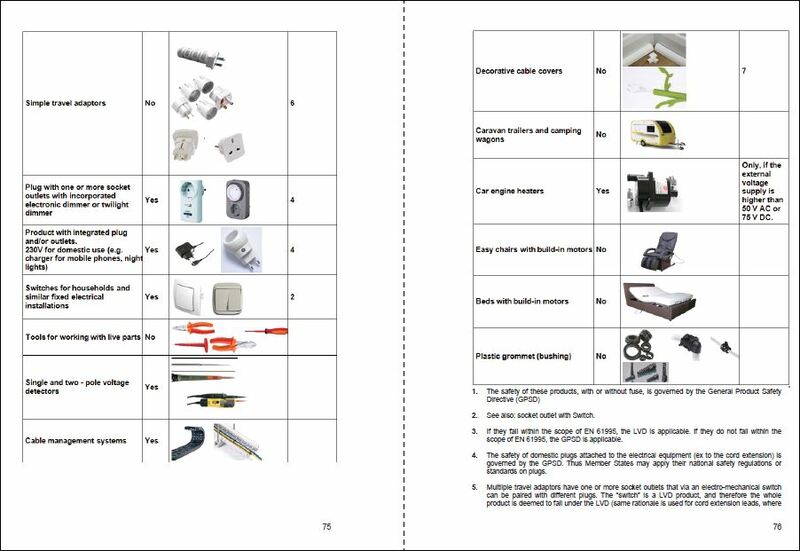 Want some help to understand the requirements of CE marking and your EU project? F2 Labs helps manufacturers across the globe every day with small and large products. We have experts who quickly determine what is applicable to the equipment, legally and technically. 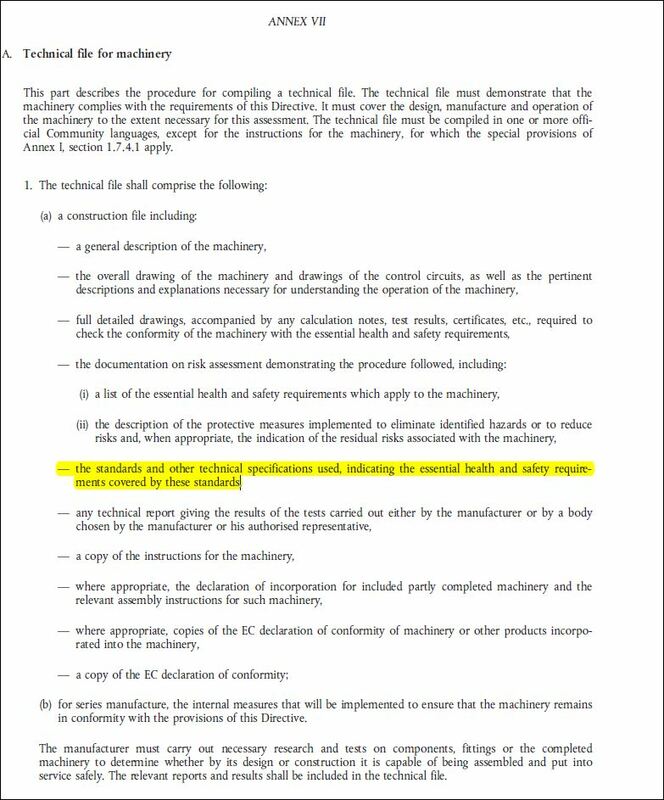 The main electrical safety standard for machinery, EN 60204-1, was revised by CENELEC and published on September 14, 2018. 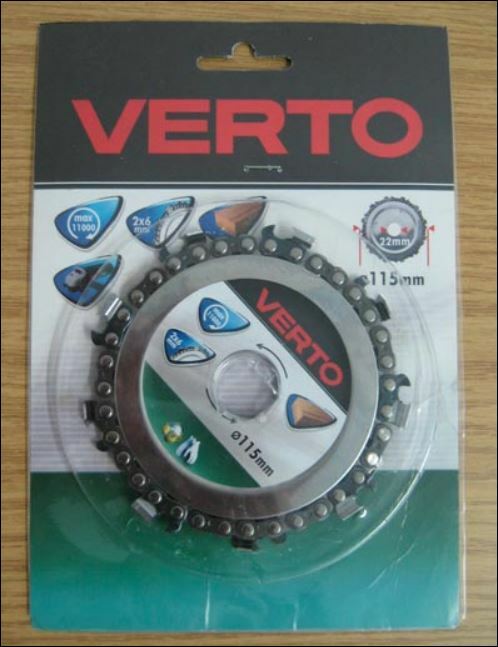 The currently harmonized version, EN 60204-1:2006+A1:2009, is still the officially recognized version. What does this mean? As a primer, I suggest reading an article we published about the role of harmonized standards and your CE marking projects two years ago. 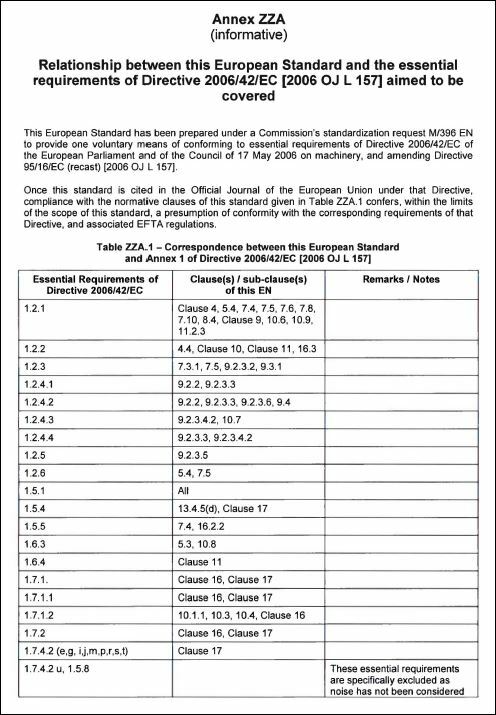 EN 60204-1:2006+A1:2009 is, for now, the recognized version but eventually we will see the new standard on the official list published in the Official Journal of the EU. Upon review of the new standard I noticed there are differences in some requirements as compared to the superseded versions. That is of course to be expected. However, what I found particularly interesting is the total revision and expounded Annex ZZ in the new version of the standard. See immediately below Annex ZZ from EN 60204-1:2006+A1:2009. 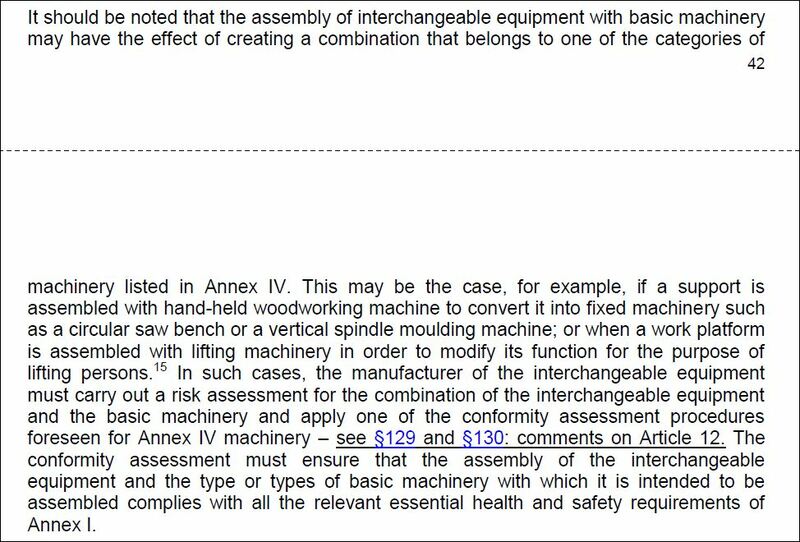 Annex ZZ from EN 60204-1:2006+A1:2009 references the specific Annex I EHSR’s (Essential Health and Safety Requirements) from the Machinery Directive 2006/42/EC. 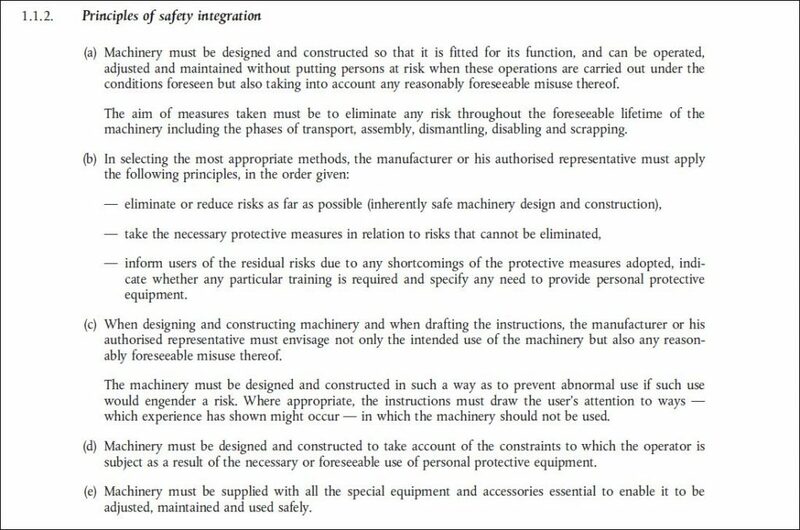 These are the only requirements in the Machinery Directive that can be evaluated against EN 60204-1. This means, for instance, that the EHSR 1.2.4.1 can be satisfied by applying EN 60204-1 to the machine. 1.2.4.1 is listed in Annex ZZ of EN 60204-1. Therefore, compliance with that standard confers the presumption of conformity (this is explained in F2’s August 2016 article) to the machine for that EHSR, and all EHSR’s that are linked to EN 60204-1. For every 2006/42/EC, Annex I EHSR there must be a corresponding evaluation of the equipment, for that risk, against a harmonized standard or relevant clause from a harmonized standard. As an example, EN 61010-1 is a very comprehensive electrical safety standard that is harmonized to the Low Voltage Directive 2014/35/EU. Except for the sole 2006/42/EC Annex I EHSR 1.5.1 Electricity Supply, it cannot be used to validate compliance of machinery to any other 2006/42/EC EHSR. (Please see this article from 2016 for an understanding of the relationship between the Machinery Directive 2006/42/EC and the Low Voltage Directive 2014/35/EU). Annex ZB from EN ISO 13857 lists three 2006/42/EC Annex I EHSR’s: 1.1.2, 1.3.7, & 1.4.1. Notice that none of these are listed in Annex ZZ of EN 60204-1. 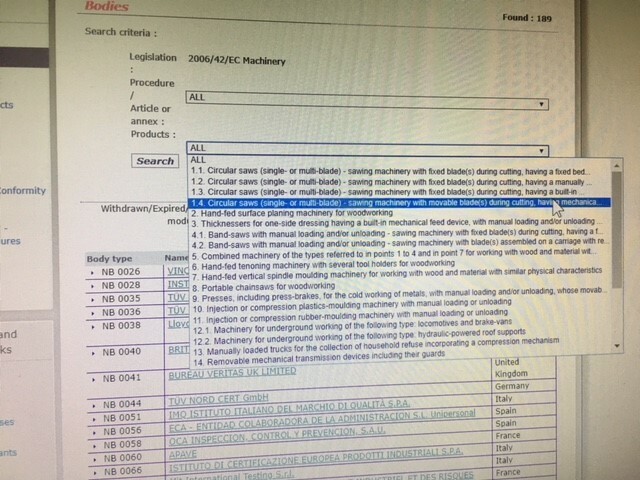 These EHSR’s are pasted below directly from the Machinery Directive. Why is this important? A machine must be evaluated to EN ISO 12100:2010 in order to establish the applicable EHSR’s from 2006/42/EC, Annex I. There are many EHSR’s on that list and all of them may not be applicable to a particular machine. EN ISO 12100:2010 and the manufacturer’s risk assessment will tell a manufacturer exactly which of the EHSR’s are applicable. But, you are not done at that step. The next step is to identify which harmonized EN standards can be used to evaluate the equipment to a particular EHSR or (as in the case of EN 60204-1) set of EHSR’s. For example, application of EN ISO 12100:2010 and the performance of a risk assessment may uncover a risk due to a moving transmission part. The manufacturer may then install a fixed guard over the part in order to protect operators and maintenance crews. This is referenced in clause 6.3.3.1. Notice that EN ISO 12100:2010, 6.3.3.1 refers directly to ISO 13857. And EN ISO 13857 refers directly to 2006/42/EC, Annex I, 1.3.7. & 1.4.1. Bringing this article back around to the new standard, EN 60204-1:2018, we refer to Annex ZZA, below. The author(s) of EN 60204-1:2018 even made sure to exclude parts of specific EHSR’s. See below 2006/42/EC, Annex I, 1.7.4.2. with ‘u’ highlighted. A point was made to specifically eliminate the airborne noise requirements in the instructions from EN 60204-1:2018. There are other EN standards that refer to making noise measurements and recording them in the instructions as pertains machinery, but that will have to wait for another article. Your machinery does not benefit from the presumption of conformity without that. The common practice is to indicate the main standards used on the declaration of conformity. Backing that up, in the Technical File, should be a chart against Annex I of the Machinery Directive. That chart should indicate every applicable Annex I EHSR, cross-referenced with the harmonized EN standard (or clause from the standard) to show it was evaluated. And, usually, in Annex ZZ of the standard you will find a list of Annex I EHSR’s that are linked to the particular standard. In this way it all fits together. As usual, I opened the RAPEX Weekly Report that delivers to my inbox every Friday morning. Scrolling through, I reviewed three cases involving saw blades. These are interesting because they were stopped for violating the Machinery Directive 2006/42/EC. Normally when we consider the Machinery Directive, we think of products that have linked parts under other-than-human (meaning electric, pneumatic, or hydraulic) power. (Side note: F2 published an article about how to read/understand the above chart, here). 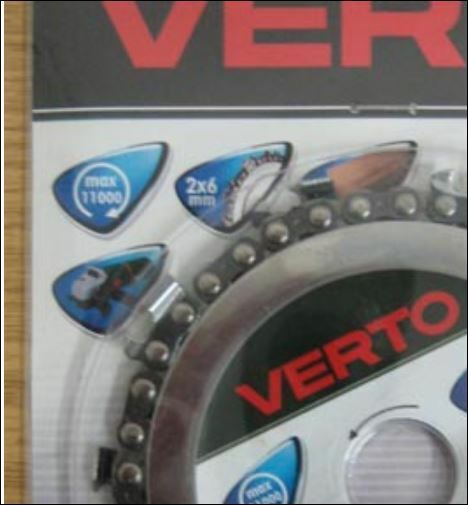 Although these saw blades are not ‘machines’ in the classic sense, they were stopped because they were classified as ‘interchangeable equipment’, which puts them in the scope, fully, of the Machinery Directive 2006/42/EC. 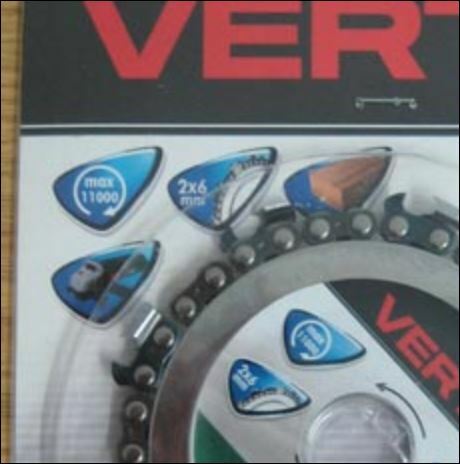 So, we see that saw blades are not considered interchangeable equipment. 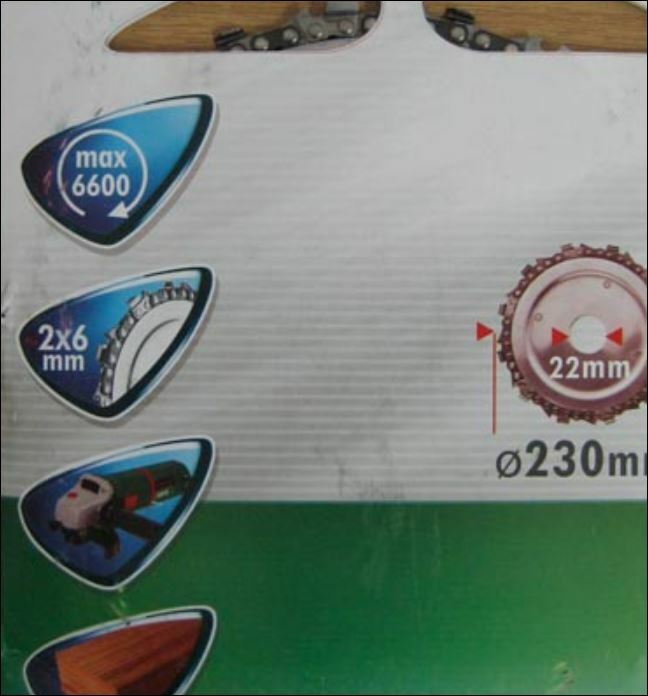 The authorities noted, however, that there is a picture of an angle grinder on the packaging, included below. So, the equipment is no longer excluded since it attributes a new function (chainsaw) to a different machine (angle grinder). 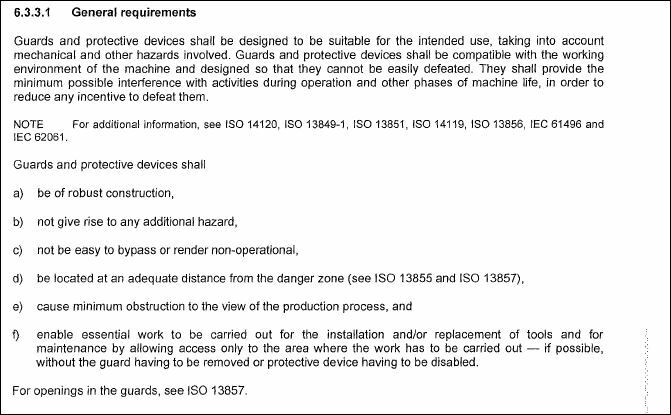 Even worse, this equipment is now in Annex IV of the Machinery Directive (included below). 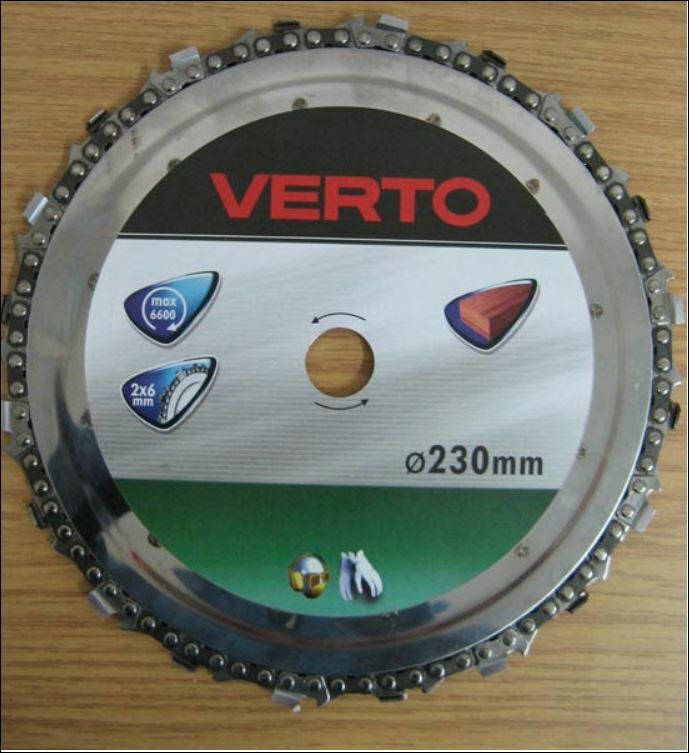 OUTCOME: The use of the indicated blades therefore change an angle grinder into a chainsaw. 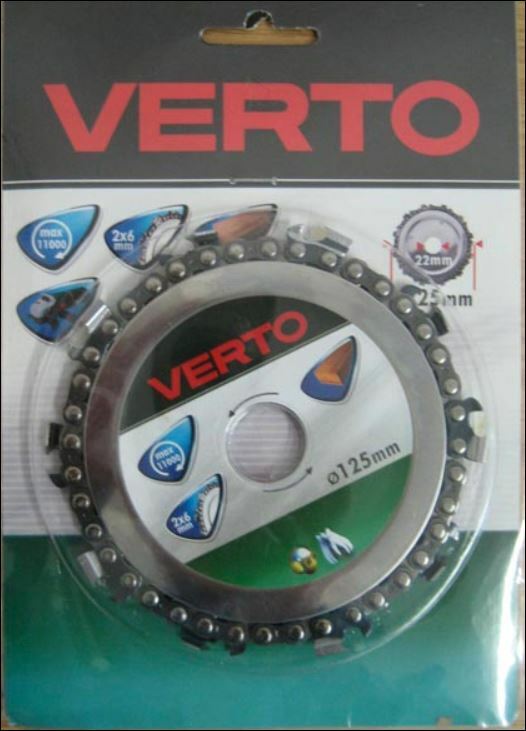 Chainsaws are listed in Annex IV of the Machinery Directive. The above means that this manufacturer must not only conform with the Machinery Directive, but also follow a more stringent compliance process and probably involve a Notified Body. 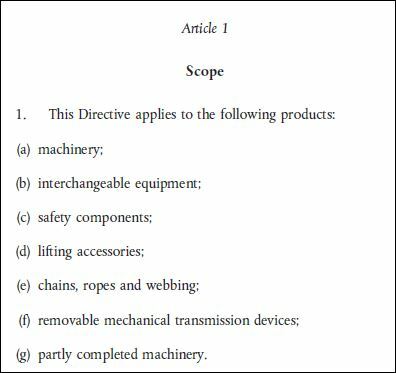 What is a Notified Body and what does it have to do with the Machinery Directive 2006/42/EC? In most cases presented to us, absolutely nothing. I wanted to write this article because we are asked, from time to time, if we can offer a Notified Body certificate (more accurately called an EC type-examination certificate) for a machine. A Notified Body is a company with a special status conferred upon it by an EU member nation, recognizing its technical competence in a specific aspect of compliance related to particular EU CE marking Directives, or a product category from a CE marking Directive. 1.4. sawing machinery with movable blade(s) during cutting, having mechanical movement of the blade, with manual loading and/or unloading. 4.2. sawing machinery with blade(s) assembled on a carriage with reciprocating motion. 7. Hand-fed vertical spindle moulding machinery for working with wood and material with similar physical characteristics. 10. Injection or compression plastics-moulding machinery with manual loading or unloading. 11. Injection or compression rubber-moulding machinery with manual loading or unloading. 13. Manually loaded trucks for the collection of household refuse incorporating a compression mechanism. 14. Removable mechanical transmission devices including their guards. 15. Guards for removable mechanical transmission devices. 17. Devices for the lifting of persons or of persons and goods involving a hazard of falling from a vertical height of more than three metres. 18. Portable cartridge-operated fixing and other impact machinery. 19. Protective devices designed to detect the presence of persons. 20. Power-operated interlocking movable guards designed to be used as safeguards in machinery referred to in points 9, 10 and 11. 21. Logic units to ensure safety functions. 22. Roll-over protective structures (ROPS). 23. Falling-object protective structures (FOPS). 2. Where the machinery is not referred to in Annex IV, the manufacturer or his authorised representative shall apply the procedure for assessment of conformity with internal checks on the manufacture of machinery provided for in Annex VIII. 1. 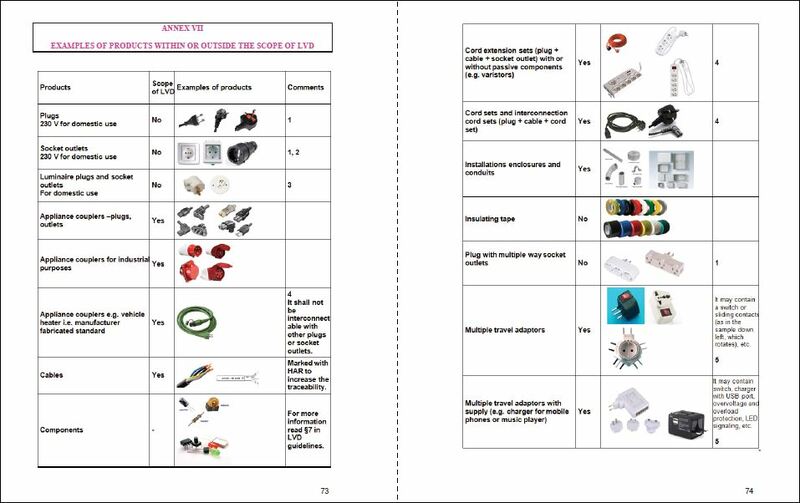 This Annex describes the procedure by which the manufacturer or his authorised representative, who carries out the obligations laid down in points 2 and 3, ensures and declares that the machinery concerned satisfies the relevant requirements of this Directive. 2. For each representative type of the series in question, the manufacturer or his authorised representative shall draw up the technical file referred to in Annex VII, part A. 3. The manufacturer must take all measures necessary in order that the manufacturing process ensures compliance of the manufactured machinery with the technical file referred to in Annex VII, part A, and with the requirements of this Directive. There is no mention of Notified Body intervention. We see that if your equipment is indicated in Annex IV then you have three options IF you used relevant harmonized standards to address the risks. The standards for the Machinery Directive are listed here: LINK. 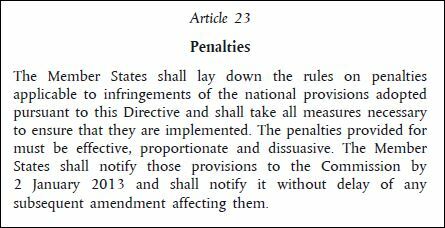 In that case (Article 12 (3.) (a)) you are able to follow the Annex VIII conformity assessment procedure, one of the three options, and not involve a Notified Body. (b) the full quality assurance procedure provided for in Annex X. In the above case (Annex IV machine and either the manufacturer did not use harmonized standards or none were available) then the process is more complex, and requires technical intervention by a Notified Body. 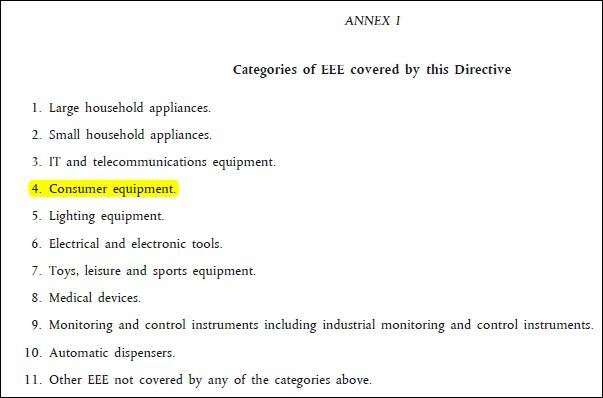 Therefore, if your equipment is not indicated in the Annex IV list there is no way to involve a Notified Body for the Machinery Directive compliance of your equipment. To put a period on this sentence, next, I direct the reader to the official European Commission list of Notified Bodies for the Machinery Directive, here. If your customer is mandating that your product comes with Notified Body approval under the Machinery Directive and your equipment is not listed in Annex IV, call us. We can help you. In every case that I have been involved in as relates to this issue we have helped the customer (and our customer’s customer) understand the obligations and put this issue to rest. It saves everybody time and money. The Low Voltage Directive 2014/35/EU, its scope, and products that operate from DC voltage. I say that very often to customers when I speak with them, particularly as it relates to the Low Voltage Directive 2014/35/Eu and its scope, vis-a-vis a product presented to us for evaluation to determine applicable EU CE marking Directives. The reason I say that is because the scope of the Low Voltage Directive is excluded from products with an electrical input of 50 to 1,000 VAC or 75 to 1,500 VDC. Customers will often ask us for a CE marking quote for a product that charges from an AC/DC adapter or operate from an AC/DC adapter, directly. In many cases (not all, but a lot) the customer assumes that since the product, let’s say a small toothpick dispenser, that operates from 12 VDC is excluded because of the above. 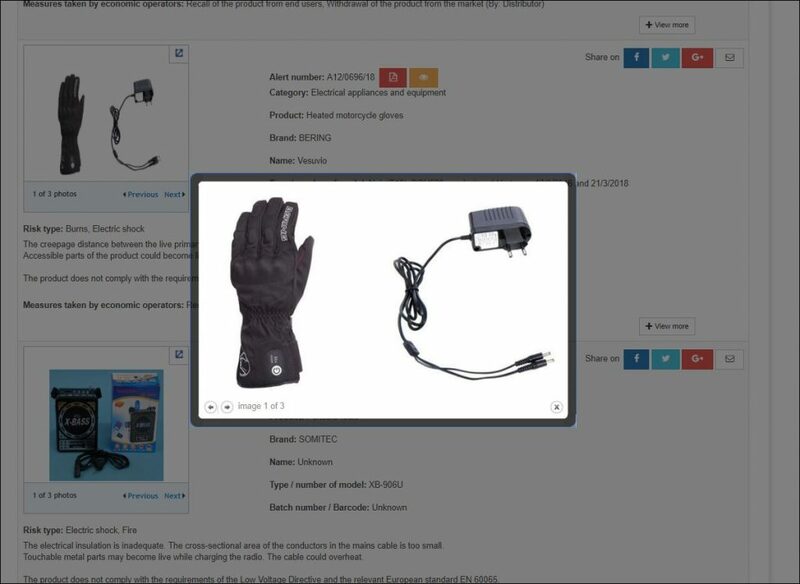 However, the customer supplies a power supply with the product. I tell the customer that I am not the police because I must relay information, regulatory information… compliance information… that he or she may not like. That information is that the product is still in the scope of the Low Voltage Directive. 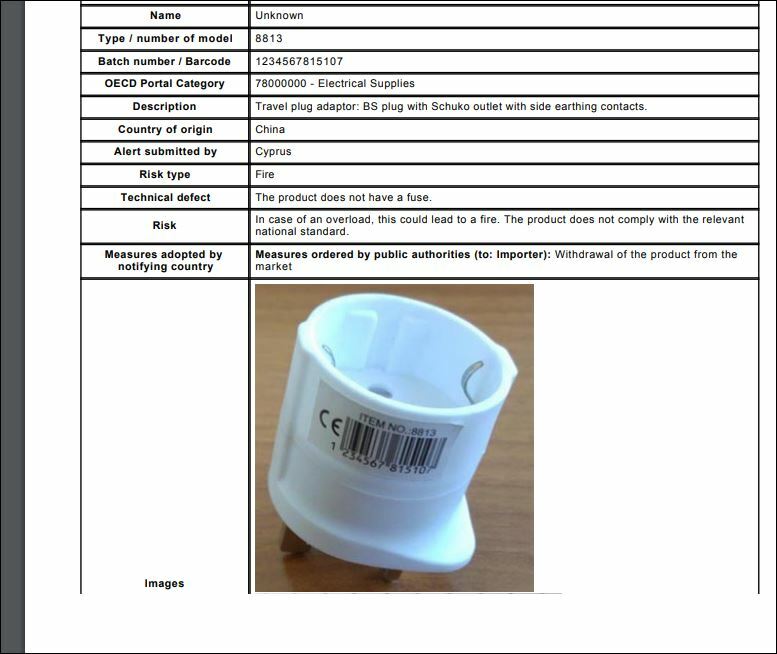 The product is sent with the means to connect to AC mains power. The overall product is the toothpick dispenser and the power supply. That product has an AC mains connection. 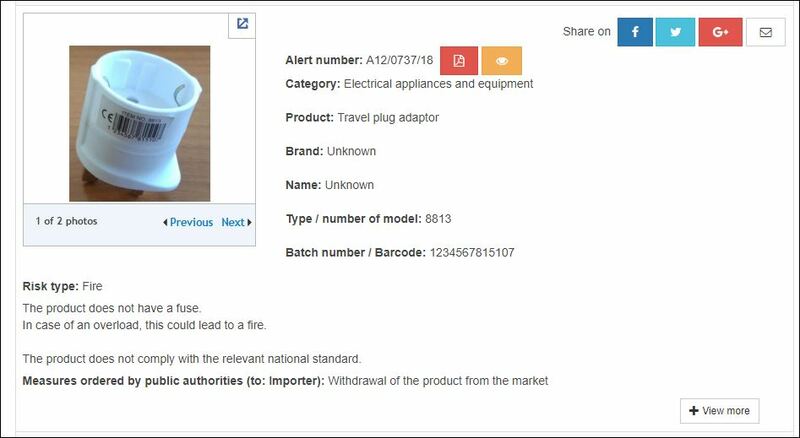 The power supply, assuming it has a valid CE marking, was likely tested to EN 62368-1 while a product like a toothpick dispenser would be under a different standard, EN 60335-1. Many times, a customer may assume that the CE marking from one product translates or attaches to another. In our opinion, that is not the case. In this case our opinion would be that the overall product (toothpick dispenser and power supply) are actually one product made up of two sub-assemblies. Probably that is the conclusion that an EU customs official will come to as well. This brings me back to the reason I wrote this article today: this week’s EU RAPEX report, linked here. I scrolled quickly through the list, published weekly, of products stopped in EU customs and now banned from the market. Regarding the radio above, we note that the product would be subject to the Low Voltage Directive requirements even if rechargeable batteries were not a part of the system. That is because the Radio Equipment Directive 2014/53/EU makes the technical requirements of the Low Voltage Directive applicable if there is any wireless function, regardless of voltage. That means that if your product has a radio in it and is powered by a tiny coin-cell battery then, legally, it must also comply with the safety requirements of the Low Voltage Directive 2014/35/EU. 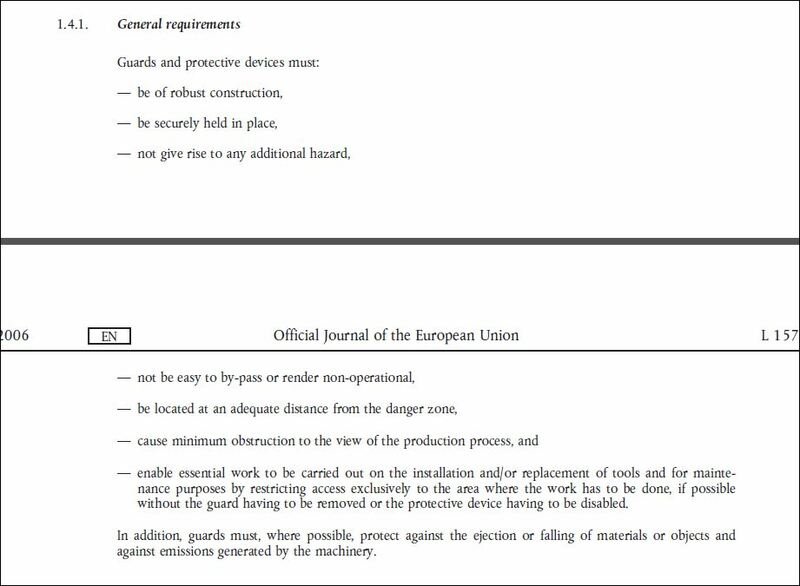 However, the safety compliance would be declared to the Radio Equipment Directive 2014/53/EU. But that topic will have to wait for another article. Want some help? F2 Labs helps manufacturers across the globe every day with small and large products. We have experts who quickly determine what is applicable to the equipment, legally and technically. 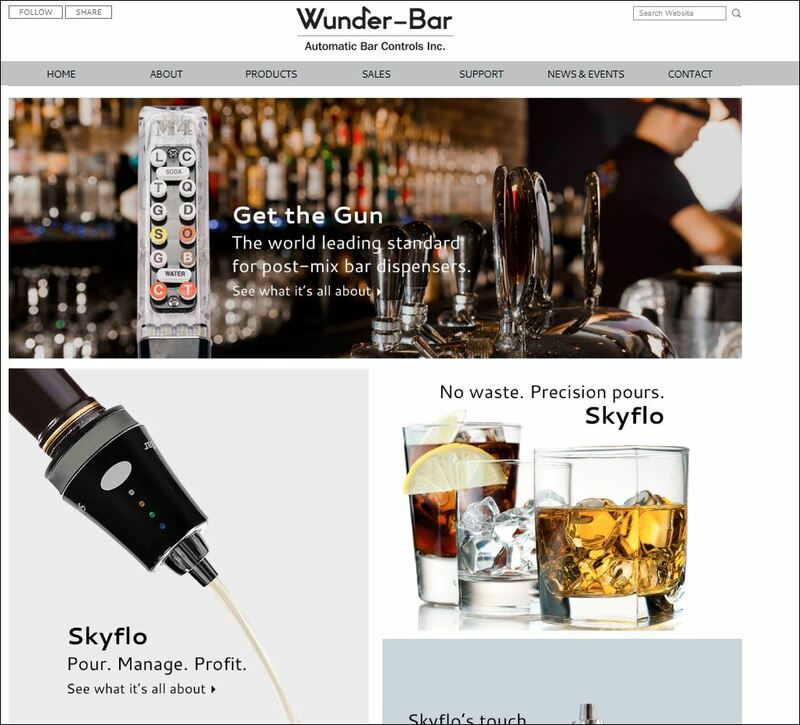 F2 Labs and Automatic Bar Controls, Inc. have collaborated on many compliance projects over the years and so we are pretty familiar with some of their products. It was very interesting to see some of the pizza sauce dispenser… which I personally have seen in pieces spread across a bench in our lab as we evaluated and tested it for safety… as the subject of a random youtuber’s video and the entertainment for his child. I can only imagine how many hundreds of these machines are in Costco’s across the United States and I’m proud to say that F2 Labs assisted our customer, Automatic Bar Controls, Inc., in making it possible to meet the requirements so that they could supply all of these machines… and help us all get that gigantic slice of pizza when we visit Costco.